Wooden sash window designs have been incredibly popular throughout the years. These products are artfully crafted, designed to last and capable of improving the overall energy-efficiency of homes. 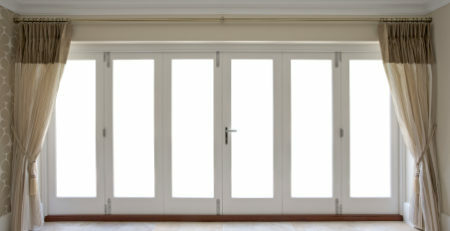 When properly installed, they can also have a significant impact on the overall marketability and value of your abode. Following are several important facts that all homeowners should know about sash windows. This window style was introduced during the 16th century. As a testament to their longevity, one of the old remaining sashes is at Ham House, the former home of the Duke and Duchess of Lauderdale. Installed during a property renovation in 1670, these structures have been carefully preserved and maintained throughout the years. Although modern designs are not guaranteed to last for the next three centuries or beyond, they are often warranted for quite some time. In fact, it is not uncommon for property owners to be given 50 year warranties on certain wooden window styles. Products like these can be designed to function both vertically and horizontally. It all depends upon the look, style and level of functionality that you want for your home. During their earliest years, these only opened horizontally. With the addition of special weights and pulleys, however, they gained a whole new look. They have also evolved in terms of the size and look of their pains. This is due to a significant increase in glass quality. It is now possible to use fewer and larger panes of glass, rather than having as many as 10 panes in a single sash. People value these options for their relative rarity. They are not inexpensive to install. This is especially true when you compare them to some of the latest vinyl and aluminum window styles. As such, if you currently live in a community in which all of the homes happen to look quite similar, upgrading to these window options is an easy way to make your property stand out, especially if you intend to put it on the market soon. These are incredibly popular among property flippers who are interested in creating unique, attractive abodes that are guaranteed to sell at a marked profit. Although a bit more costly than PVC window designs, these last a lot longer and they are much more attractive to knowledgeable investors. For those who are interested in reducing their carbon footprints, these are the ideal window designs to research. It takes eight times more energy to produce PVC window options in comparison to the far lesser environmental impact that real wood products have. Moreover, you will be saving more energy each and every month once these are in place, given their notable ability to keep hot and cold air in the home throughout the seasons. This will mean lower overall energy bills and a far more comfortable abode overall. During the Edwardian period, it was popular for people to install sash window styles that traveled from the ceiling all the way down to the floor. This was a true testament to the innovations that had been made in glass manufacturing. With far stronger panes than were available in times past and the ability to use vertically moving panels due to pulleys and weights, these ambitious upgrades were possible. The top sashes often held just one or two panes. The bottom sashes were usually comprise of two panes as well. Now, people can have single panes on both sashes or they can have multiple panes if they wish to replicate the look of the earlier centuries. Throughout the Edwardian period, it was also common to use stained glass at the top sash. This allowed residents to bask in multi-colored lights while significantly enhancing the curbside appeal of their units. Although these techniques are used far less often today, there are some window companies that are willing to implement them. Preservation of these products has made it possible for them to last for centuries. When working with capable manufacturers, installers and repair companies, you can transition old and non-functioning units into options that look and function just like new. This is ideal for those who are interested in preserving the historic value and appeal of their homes. If you have outdated designs and wish to enhance them, you should consider having restoration services performed rather than simply replacing them with a more modern and yet far less style of window.